Calling all adrenaline junkies! If you love to combine your tours with a couple of thrills, then look no further than our jam-packed adrenalin activities. From scuba diving and snorkelling on the Great Barrier Reef to skydiving, and finishing off with The rapids up to grade 4 on the Tully River Rafting journey. Our adventure activities are sure to get the adrenalin pumping. So what are you waiting for? Take the plunge and set off on an adventure with our adrenalin- junkie-pumping activities. Tours can be in any day order. Day after day or have a break in between. 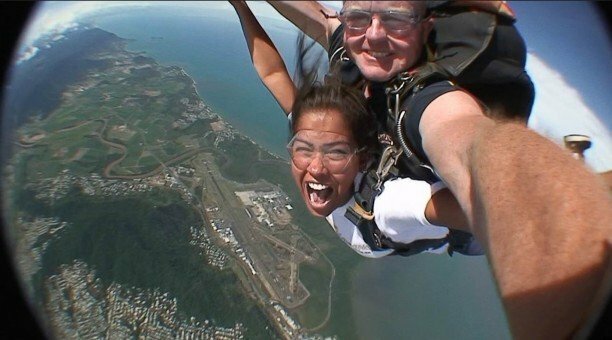 Day 1 – Cairns 14,000ft Skydive! Skydiving is one of the most popular and extreme adventure sports a person can do and will be the biggest thrill of your life! While being harnessed to your Instructor, Imagine experiencing the rush that is indescribable and incomparable to any thing else. All you can do is scream with delight during your 60 second freefall, ingrossed only in the here an now, as you soar through the air as free as a bird. After your parachute opens you will slowly glide through the air looking down at the breathtaking beauty of what is beneath you. 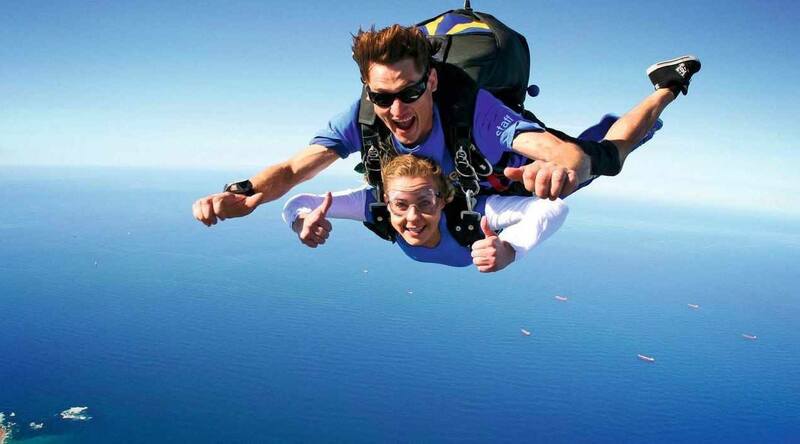 You will be in great hands with Australia’s No1 Skydiving Company. With 40 years experience and over 2 million skydives, a record matched by no one else in Australia. Investing in the best safety systems and most modern up to date skydiving equipment which ensures their unmatched safety record. 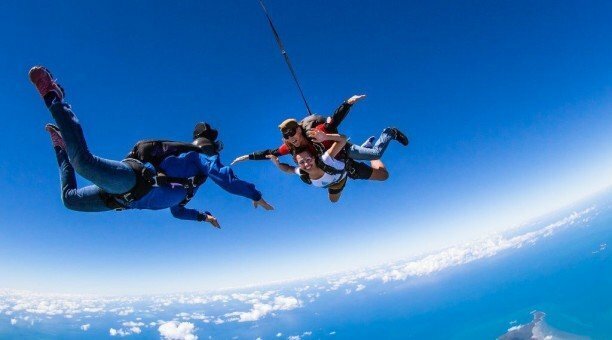 Cairns, Queensland is the ideal and most popular places for your Skydive, with its natural beauty and stunning views of the great Barrier Reef and amazing Tropical Rainforest. The landing zone has its own 10 acre tropical garden complete with swimming pool and air conditioned lounge for watching awesome free-fall videos. Book your Skydive today and have the thrill of your Life! Complimentary Coffee and Tea before departing Cairns at Skydive office. Clothing – Wear comfortable loose clothing as you would normally dress for the weather on the day. Wear sports shoes, or runners. All Skydive Video and Photo packages are supplied on a free souvenir 4 gig USB flash drive. Please note: Persons weighing over 95 kg’s may incur an extra charge. $25 Australian Parachute Federation Levy is payable on the day. if you are staying at Northern Beaches accommodation bus transfers would be $30 pay on board. 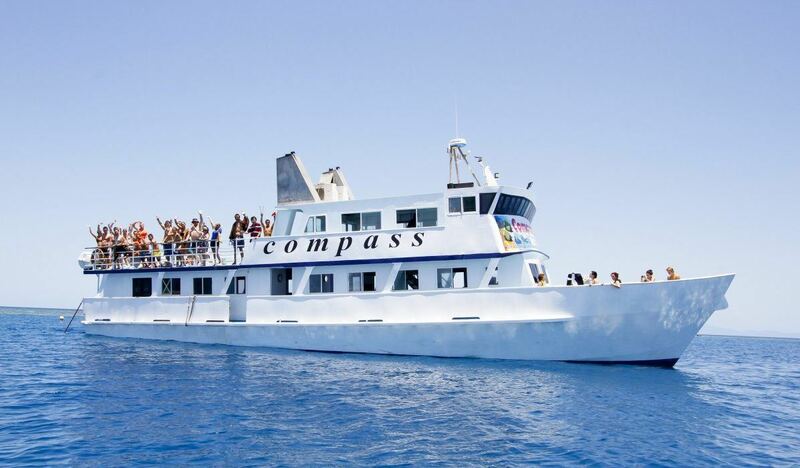 Compass Cruises is a local icon and has been taking people to the Outer Great Barrier Reef for many years. If it’s value for money you’re looking for and a memorable day on the Great Barrier Reef then this Great Barrier Reef Budget Cruise has it all! 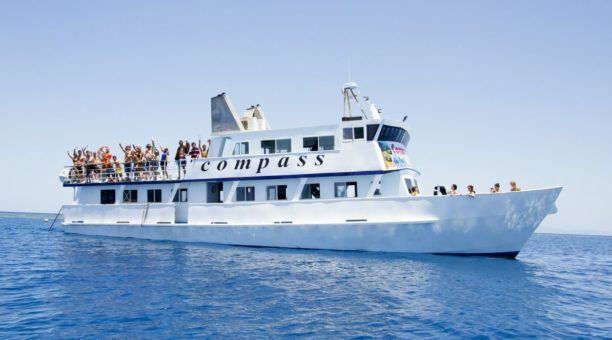 Compass will have you escaping for an unforgettable, unrushed day enjoying a relaxed leisurely cruise to the Outer Great Barrier Reef. Snorkel and scuba dive amongst beautiful corals and a colourful variety of tropical marine life at one of the natural wonders of the world. 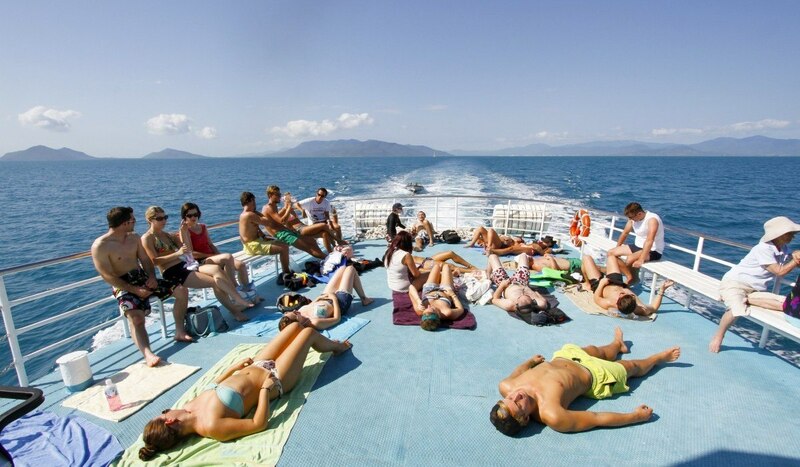 Relax on the huge sundeck, see the Great Barrier Reef from the glass bottom boat (optional Extra) or take the “Wild Ride” on the famous Compass Boomnet. Scuba Diving is available (Optional Extra) for all levels of experience and snorkelling is made easy with our helpful crew. Please advise of any dietary requirements upon booking. Please read the important information, terms and conditions prior to booking your trip. Some medical conditions and/or medications may prevent from participation in scuba diving activities. Children prices are for ages 4-14 years. Family prices are for 2 adults + 2 children age 4-14 years only. 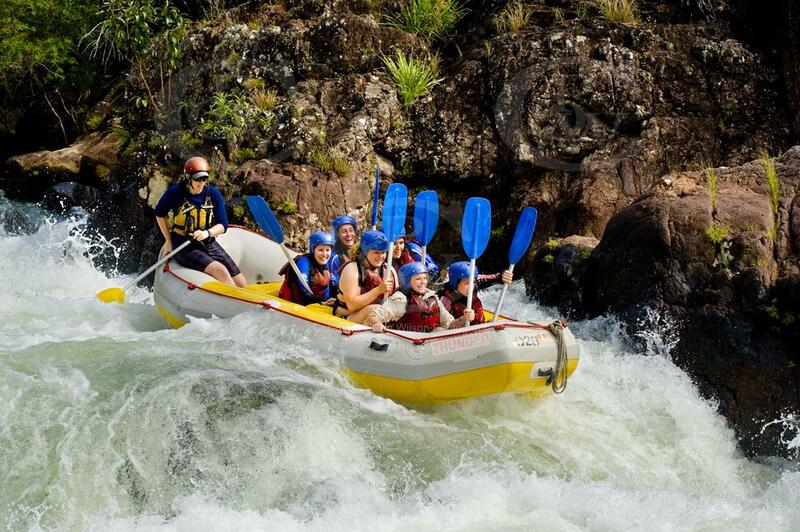 The Tully River is Australia’s most famous white water rafting adventure. An action packed experience filled day with fun, thrills and spills on a day you will never forget. 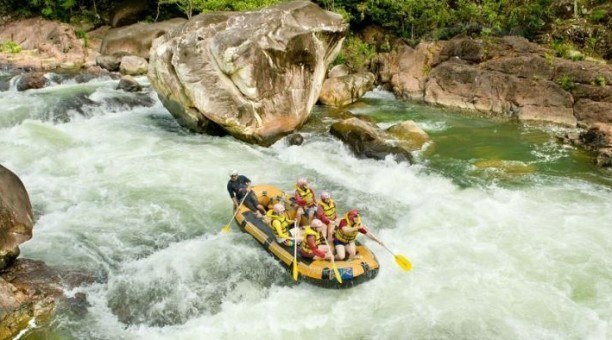 Join the thousands of people every year who raft the Tully River in this extreme five hour white water adventure in remote World Heritage Rainforest. 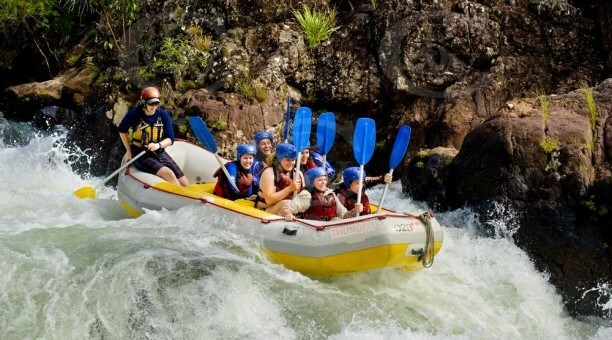 Commence rafting and negotiate up to 45 rapids of varying degrees which include the unforgettable “Alarm Clock”, “Wet & Moisty”, “Stair Case” and the dramatic “Theatre” – all before a riverside BBQ lunch opposite “Ponytail Falls” where time is made to recharge your batteries. With a full stomach, we send you off to the afternoon’s remaining rapids, and if you dare, take the plunge and try raft surfing, rapid swimming and rock jumping with your guide! At the end of the day, pack up your raft, change into dry clothes and head to Rafter’s Café in Tully where you can purchase snacks and even a few beers. 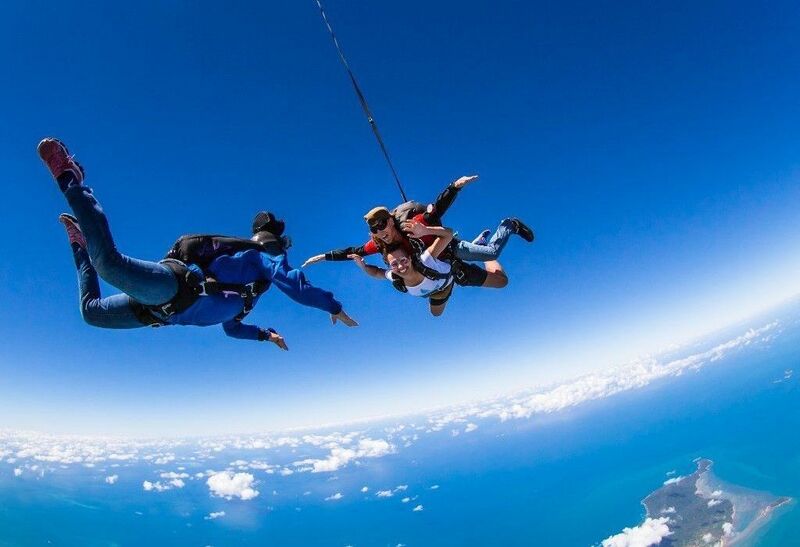 Feel the adrenalin from 14,000ft!